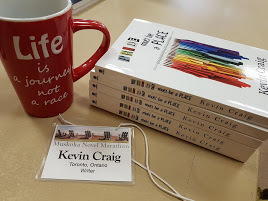 Next Post 2014 Ontario Writers’ Conference, IF YOU DARE! Good list! I need to do some more in-person networking so I have writer friends to do some of this with. You forgot the most important thing: giving them money. Thanks so much, Jen! In-person networking is amazing. In Durham Region, there’s a writing community over 300 strong. http://www.wcdr.ca Amazingly supportive to one another. All communities could use it as a model of how writers should network. (-: Thanks for visiting.